Give your pieces a blue hue with the Blue Green 5 Pack Blending Markers from American Crafts. 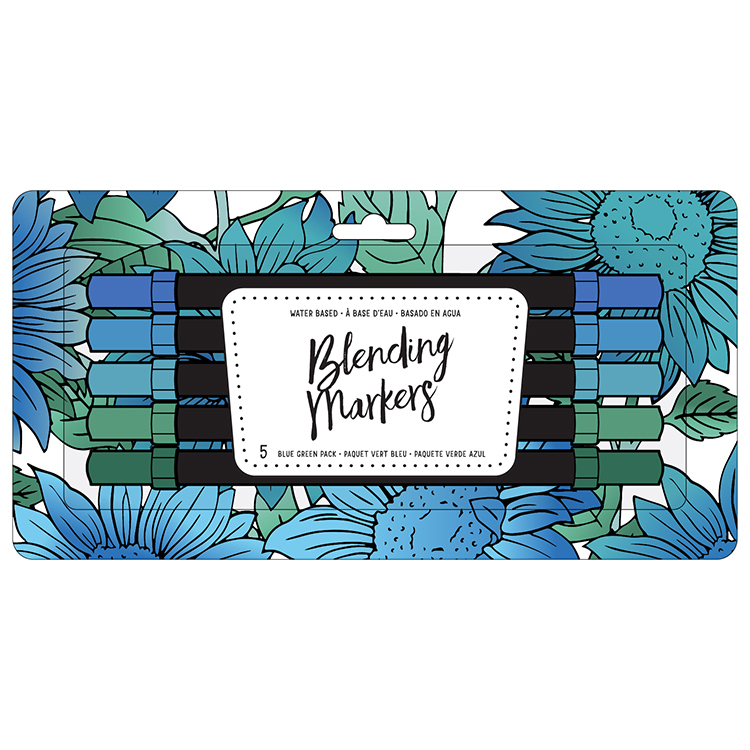 There are 5 water-based blending markers included in coordinating shades of blue and green. The markers are non-toxic. One of the markers was dried out and the other three, the ink dried as soon as it went on the paper so there was no way to blend. Too bad, the colors are very nice.